Call today for a free estimate by one of our highly trained and courteous technicians. We are fully licensed and insured in Southwest Florida.  Locally owned, operated and trusted in Southwest Florida since 1998. Looking for a FREE gutter installation estimate? Simply fill out the estimation form and we'll get back to you shortly. 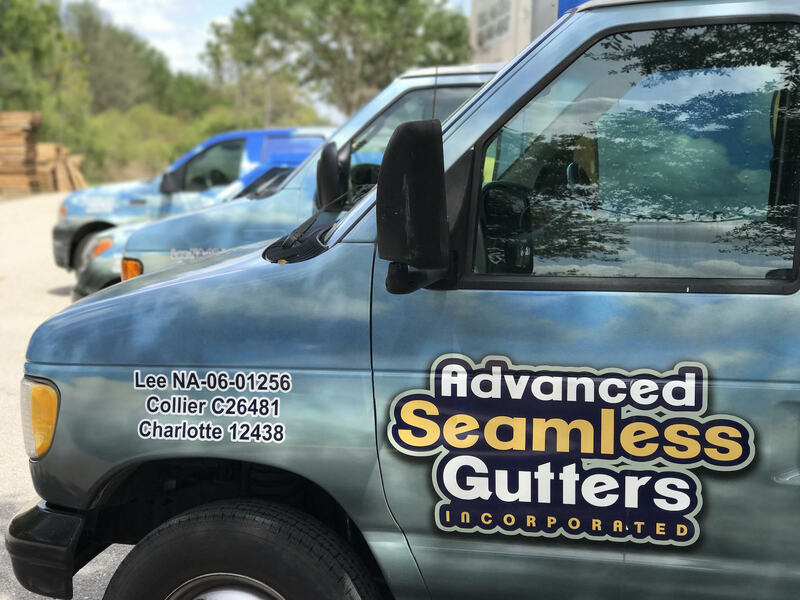 Advanced Seamless Gutters has experienced technicians that will install your seamless gutters and downspouts on-site to ensure proper fit and functionality. 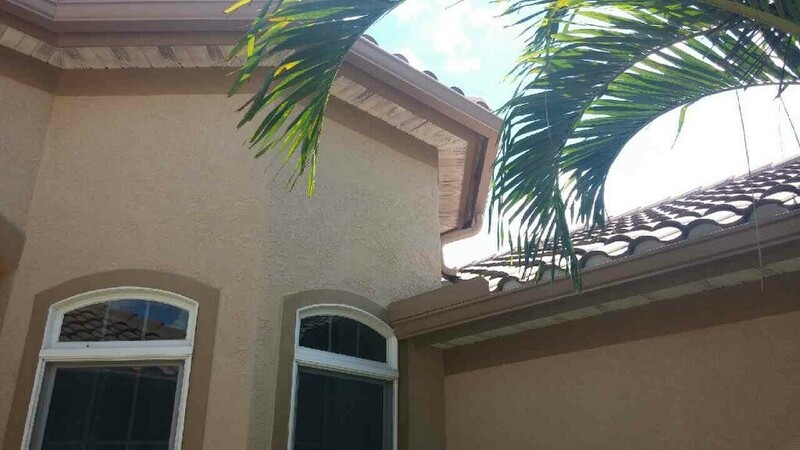 As the #1 seamless gutter company in southwest Florida you can be confident that we will get the job done as you want, and on time. Our unique service includes features not found with other gutter contractors. We provide each and every customer with a written estimate along with a detailed drawing of what is proposed for their home. All estimates/proposals are presented with a copy of local municipalities required licensing, general liability insurance as well as Workman’s Compensation. Also upon completion of work we provide a written material warranty from the manufacture. No worries! WHAT PRODUCTS DOES ADVANCED SEAMLESS GUTTERS OFFER? All with a wide variety of colors to enhance and coordinate with your home’s exterior. 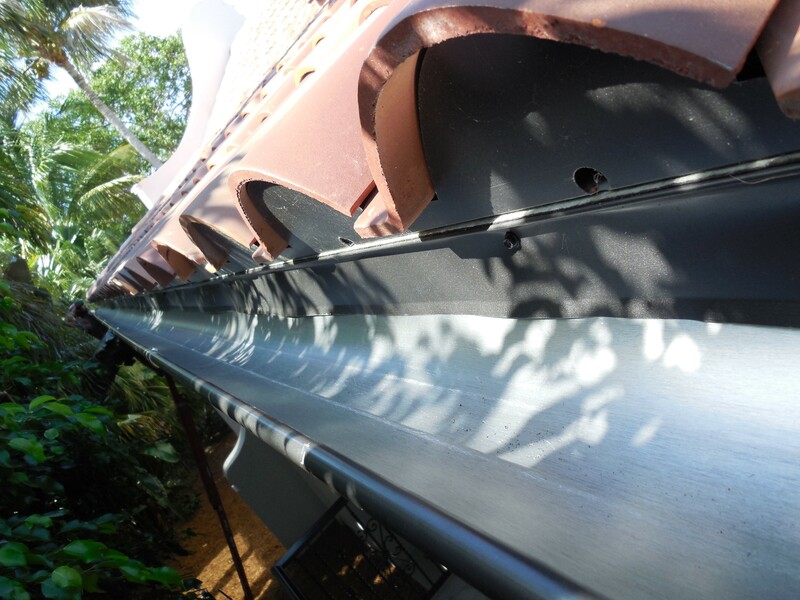 Today’s 6″ seamless gutters have become a common replacement for the smaller 4″ and 5″ rain gutters of the past. 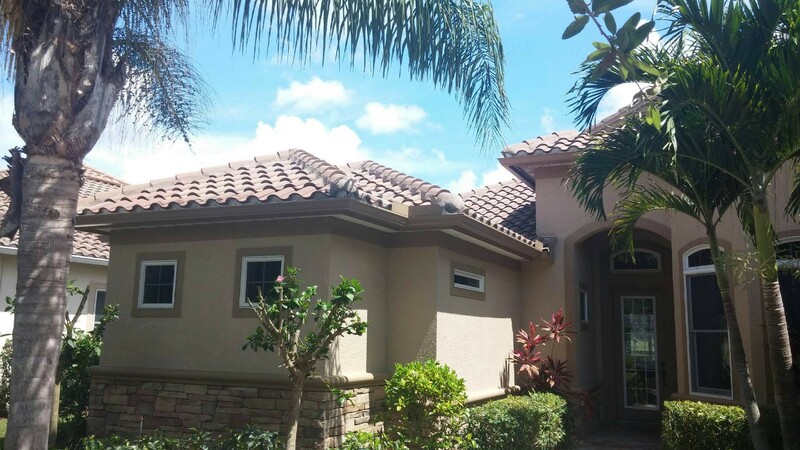 With the emergence of popular tile roofs to the southwest Florida area the larger 6″ gutter compliments the roof greatly as well as the ability to carry more water greater distances allowing the use of less downspouts. We all know how much and how fast it can rain here in south Florida. It’s important to know that your gutters will continue to work as designed even under the most challenging conditions. Add to that a baked on polyester finish and heavy gauge aluminum that will keep it rustproof and weather resistant for a lifetime! With the extreme heat and weather conditions here in Florida, this is a huge plus. 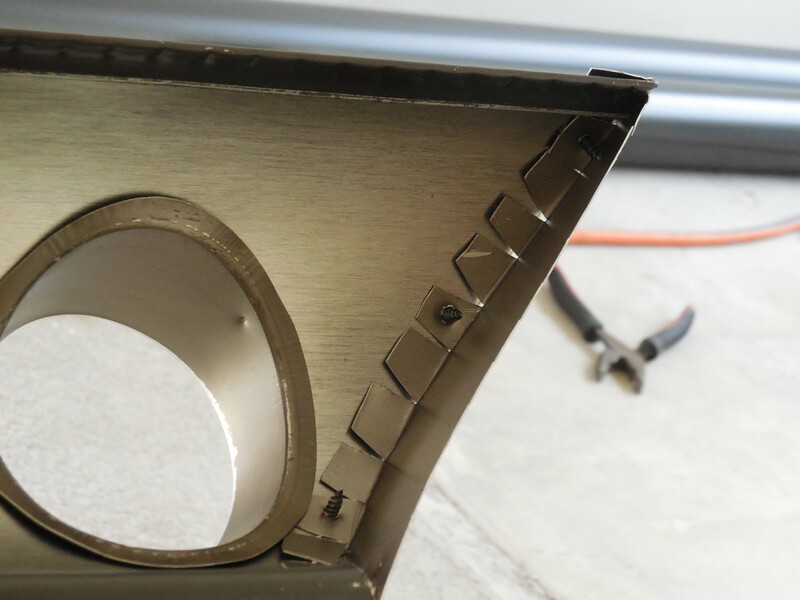 We also now have the ability to run a continuous 7″ seamless gutter that can accommodate high tile roofs, commercial gutter projects and large water shed type roofs! No projects are too big. Call today for a free evaluation of your residential or commercial gutter project. 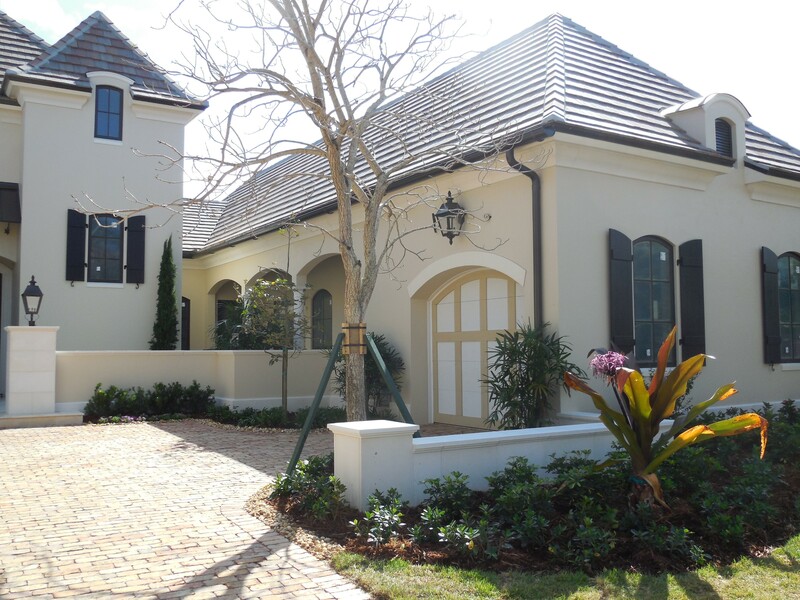 Advanced Seamless Gutters will install Seamless Gutters in Fort Myers, Seamless Gutters in Naples, Seamless Gutters in Cape Coral, Seamless Gutters in Bonita Springs, Seamless Gutters in Estero, Seamless Gutters in Florida, yes we install a lot of Seamless Gutters in Lee and Collier County Florida! DOES ADVANCED SEAMLESS GUTTERS OFFER CLEANING SERVICES? We also offer a clean and seal service for your existing gutters. We will inspect, clean and seal your gutters and give you a new 1 year warranty! We also install high quality soffit and fascia in both vinyl and aluminum. Give us a call to set up your appointment today. MY COMMERCIAL BUILDING NEEDS GUTTERS…CAN ASG HELP? Yes, we have the large gutters, tools and experience to work on any project and building. We can install a continuous 7″ seamless gutter that can handle the water volume from high tile roofs, commercial gutter projects and large water shed type roofs! No projects are too big. Give our office a call to schedule a free consultation and estimate.